Today, Ellen, Hannah, and I moved into our suite. Ellen had a couple of helpers, one of whom was her absolutely delightful Aunt, “Auntie Fred”. Her name is Diane but everyone calls her Fred. And she’s my stranger of the day. Auntie Fred is from New Zealand. She’s visiting Vancouver for a couple of weeks. Her accent was lovely to listen to but I found her words difficult to understand. When I told her, she laughed and said she does get told that she speaks too quickly. She spoke a little slower for me. Even though our suite was decorated with spider carcasses and cobwebs, Auntie Fred expressed how lovely the space would be. She could envision the way we’d decorate it and christen it with warmth. She brought such a positive light into our house and assured us it would soon be a home that we’d love and enjoy. Moving and packing are two of my least favourite things but having her around for the process made it far more bearable. Auntie Fred loves traveling. She brought some Vegemite from New Zealand for Ellen. I’d never really heard of it before. 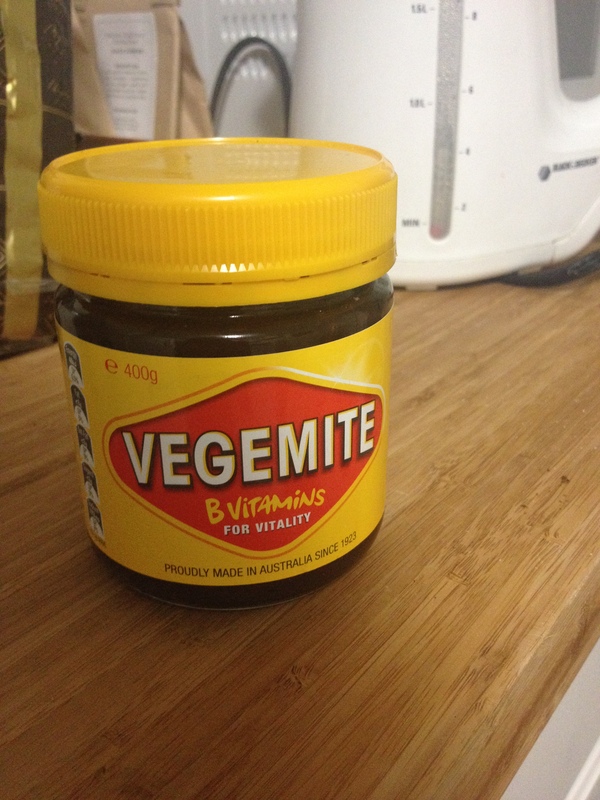 She told me about a time when she was traveling in Thailand with some Vegemite. She found the smells of some of their food to be absolutely revolting, whilst they couldn’t stand the pungent smell of her vegemite. She laughed and told me that it helped her realize that each culture is so different and how one thing can be perceived in many different ways by many different people. After knowing me for such a short while, she said that if I ever find myself in New Zealand I have a place to stay. I’m still in awe of her kindness.